Plumbers, fitters and drain layers know how important it is to have the right equipment for the job. That's why professionals across the country rely on Kennards Hire's extensive range of plumbing and drain laying equipment. Any plumber or fitter knows there is an endless list of tasks to accomplish with any job, especially those of any significant scale. Fortunately, Kennards Hire makes it easy, with the right plumbing tools for everything the boss, client or nature could throw at you. Sight preparation can be some of the most arduous work, with mountains of earth to dig, trench and shore up. Before you get to digging and shifting, grab a walking measure and make sure you trenches are dug as planned. Pipe & cable locatorsare available to make sure you don't run into any nasty surprises. When it comes time for trenching, Kennards Hire has an ample supply of self-propelled trenchers in different sizes to meet the requirements of your job. A trencher will greatly improve the efficiency and simplicity of any pipe, conduit or hose laying job - saving you on man hours. 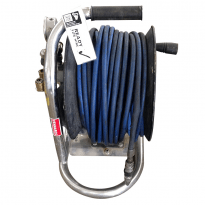 Our large supply of trench shields and trench shoring supplies will ensure that you and your crew work in the best conditions possible, and keep your work site safe. Speaking of safety, multiple gas monitors are available to check levels of carbon dioxide and other gases - which as we all know is especially important in the confined spaces plumbers, fitters and pipe layers can find themselves. When it comes time to lay the pipe, you want to have it all ready to go. Nobody wants to be cutting or threading every two minutes. Kennards Hire has a range of pipe cutters and pipe threaders that will help you get the job done, and get it done right. 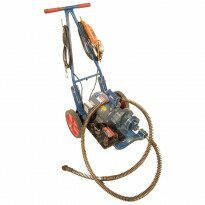 Whether you are working with clay or metal pipes we have the right cutter in stock for you. Rebar cutters are also available. If you need to bend any length of pipe, there are pipe bending kits available. Threading can also be done with ease, with both manual and electric threading options available. Once your site is prepped, pipes cut and threaded, you'll need a pipe wrench (or three) to get it all together. Kennards Hire has all you need in the way of wrenches and there are also LPG torches available for joining. If the apprentice carried on about how easy cutting and threading pipe is - give him a wrench for the day, that'll sort him out! Once your apprentice has finished installation you can go through with your pipe level from Kennards Hire, and get him to do it all over again. There are also pipe cameras available for complex jobs, or for tradies who regularly inspect pipes and drains as part of their service. 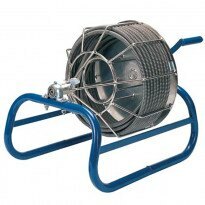 These can also be great for inspecting ductwork or flue lines. High pressure test buckets make testing for water, air or gas leaks an absolute breeze. 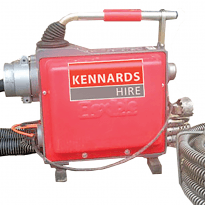 When it comes time to clear a stoppage in a drain or pipe, you can rely on your local Kennards Hire to have the drain cleaners you'll need, no matter the application. There are several Electric Eel models for clearing large obstructions, and even hand operated Drain Snakes for home maintenance. At Kennards Hire we pride ourselves on our great range, our excellent service and nationwide coverage. If you find yourself working a bit far away from home and don't have access to your normal supplies, you can always get what you need from Kennards Hire, whether it's for an hour, a day or years. We make sure we always have what tradies need to get the job done - no matter where they are in the country.